Every Sunday - Tuesday, January 13 - April 30, enjoy an 8 oz. 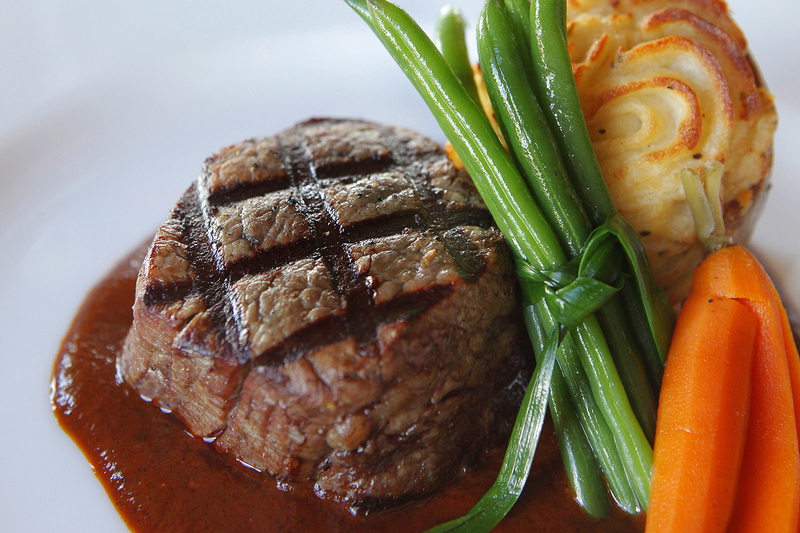 bistro sirloin steak and a twice baked potato with bacon jam for only $18 from 5:00 - 8:00 PM at Veraisons! Add any of the following sides to your order for $4: Braised Kale, Roasted Carrots, or Bacon Brussels. Reservations are strongly suggested. Reserve online at www.glenora.com/Reservations or call 800.243.5513.